Flooring designed to compliment today's modern lifestyle. hardwood, stone, tile, vinyl and carpet. We have a thorough understanding of the materials, applications and benefits that will make each option a solid flooring choice for any room of the house. For many years, we have been dedicated to supplying and installing quality flooring in homes and businesses throughout Massachusetts and Rhode Island. No matter the type of material you need, we have it all. At FAB Flooring, Stone and Tile, we carry a selection of choice residential and commercial flooring products to fit your specific lifestyle and budget. If you are presently in the market for flooring, be sure to stop by our Fall River flooring showroom today to discuss the many options and materials we offer. You will be pleased to find just about everything you are looking at our flooring showroom. 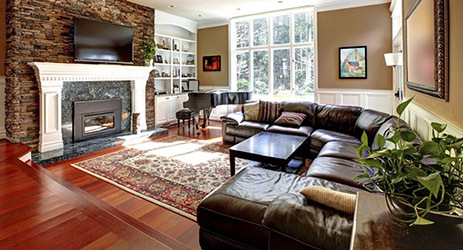 We have plush and berber carpets, solid and engineered hardwood, bamboo and cork, ceramic, marble and granite tiles, area rugs, and large variety of laminate and vinyl products from all major brands. In today’s market, hardwood flooring has never been more popular. We offer several types of hardwoods that are designed to match any décor. You’ll celebrate the timeless beauty of ceramic, porcelain or glass tile over and over again. We have the right products for your needs. Experience the warm and exquisite textures of travertine, marble, slate, and granite stone tiles. We have a large selection to suit your style! At FAB Flooring, Stone and Tile we have carpeting available in thousands of styles, colors, and textures. Stop by our showroom today! Our resilient vinyl flooring offers the realistic look of wood, tile or stone with nothing less than exceptional durability and performance. We can help you find the ideal solution. 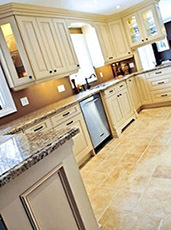 As flooring professionals, we’re always aware of the latest trends and styles in the industry. We carry and install all the brand names you know and trust, including: Alexander Smith, American Showcase, Legendary Beauty, Softique®, Infinity Nylon Carpet Fiber®, Premier Stainmaster, Mohawk, Shaw, Armstrong, Congoleum, Legacy, Bruce, Teragren, Natural Cork, Mullican, Columbia and many more. Stop by and visit our flooring showroom! At FAB Flooring, Stone and tile, we have an array of stylish and durable flooring samples that are just waiting to be seen. We welcome you to visit our Fall River showroom for a personal design consultation and discover the many possibilities we offer in a no-pressure environment. If you are not located in the greater Fall River area, no problem! We work with clients from all over New England. Contact us today at (508) 617-4120 and speak with one of our experienced flooring specialist for a free design consultation.